While the article about this over on Kotaku reports this leak as legitimate, given what happened with Survivor 2299 and the fact that Bethesda has declined to comment, I’m going to firmly declare this as a rumor until we hear something official. 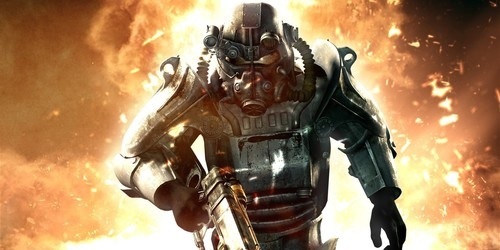 A series of casting documents obtained by Kotaku apparently confirm the existence of a game codenamed Institute (which if you remember from a Fallout 3 sidequest is the in-universe name for what was once MIT), which you might know better by its proper name, Fallout 4. The word Fallout doesn’t appear in any of the scripts, but it points to Fallout 4 being set in Boston, which makes sense given its codename. The casting script also details the opening monologue (in which the classic “war never changes” line is read by the player character instead of series regular Ron Pearlman) and a few side characters such as Sturges who is apparently a cross between Buddy Holly and Vin Diesel. While I wish Fallout 4 is real as much as the next person, the rash of hoaxes surrounding the next game in the series over the past few months has made me very skeptical. Although I wouldn’t mind a Fallout game set in Boston and centered around the Institute, the information in this casting document, even if it is real, is subject to change so a lot of what is in there might not even be in the final game. What do you guys think? Is this the real deal, or yet another hoax?